Pandit Jawaharlal Nehru, the first Prime Minister of the India, was a great horse lover and had indomitable passion for horse riding. He was instrumental in introducing Equitation as Military Training subject in the Military Training Academies. Panditji was often seen riding from his residence ‘Teen Murti’ to office and the forecourts of Rashtrapati Bhawan. The Prime minister Pt Jawaharlal Nehru had personal liking for the 61st Cavalry Charger “PRITHVIRAJ”. When the horse attained retirement in 1960; he was asked to come to Teen Murti; where the Prime Minister ceremoniously presented him a Horse Rug. The horse rug is till date proudly displayed in the Regimental Quarter Guard as one of the highly priced assets. 61st Cavalry holds the unique distinction of being the only horsed cavalry unit and is known world over for its contribution to the Equestrian sport. It has a fine tradition of excellence in all fields. Its boast to Equestrian glory is backed with an unmatched record of awards and performance in the field. After independence, when the lustre of the erstwhile princely states faded, the 61 Cavalry continued to carry the torch of Indian polo. 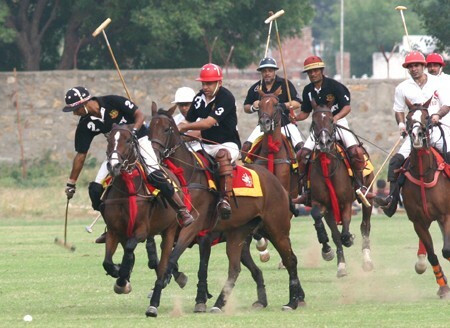 There is not a single polo tournament in the country that it has not won. 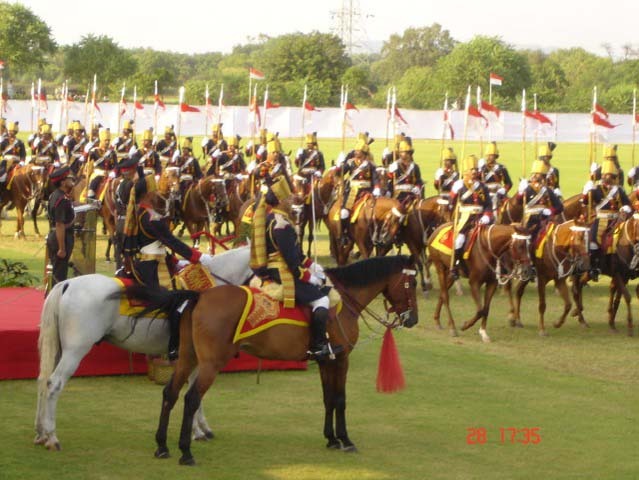 The Regiment with 273 horses and other meagre resources endeavors to fulfill all duties operational , ceremonial and sporting with distinction and purpose. The Regiment stands tall in equestrian sport and has produced some of the best in this sport, with one Padma Shree, ten Arjuna awards, coupled with many other victories in Olympic/Asian/World Cup Polo Championships. The Regiment’s ceremonial showings have enhanced the image and prestige of the Indian Army both abroad & in India.